Check out the top 'holiday' niche keywords from the Wordtracker keyword tool. You might think apps are a mere distraction when it comes to work. These 20 apps prove they're the exact opposite by keeping you, and your boss, productive and on track. Five ways you can align your sales and marketing team to drive more sales. When online content is like the unstoppable pasta pot from "Strega Nona" how do you make your search for sharable content quick and easy? Make sure you're getting the most out of your welcome emails. Are you using hashtags in your tweets? Are you using them correctly? Find out how you can make guest blogging work for you - and why not pitch us an article idea while you're at it? Find out how you can write the perfect post for social media. Learn how to get the most out of LinkedIn with these 33 bite sized tips. What can be done to improve clicks rates amongst mobile users? What characteristics come to mind when you think about successful entrepreneurs? Advanced search not only helps you find what you want in record speed, it can also help uncover some great networking opportunities. Are you using keyword questions to build your brand's authority and reach online? Monitoring your site's ranking position can expose some fascinating insights into your business as well as your competitors. Five blunders that could be negatively affecting your mobile marketing strategy. Good body language is key to communicating effectively in the workplace and will help you take the next step in your career. Transform your Chrome browsing experience with the most popular extensions that will help you block ads, find a deal and translate webpages. The latest website and app design trends with examples to get you inspired. A fascinating look at the last 25 years of search engines and the development of SEO. Each social network is designed to display your images in a different format. Before you start uploading cover photos, profile pictures and sharing content it helps to understand the size requirements of each network. Setting up your own online shop can be a bit overwhelming so it's always interesting to see what tools are popular. The best internet marketing articles of 2014. Smartphone usage is becoming more common around the globe. Are we addicted or are they a necessary addition to modern life? With a few simple on-page SEO ingredients your lovely blog post won't be left floating out there without readers to share and enjoy it. It's a good time to revise your on-page SEO techniques. Make sure you're up to date with the latest methods and be sure to avoid old tricks that could get you penalized. Infographic: An easy to follow 6-step workout - drop the extra weight from low quality, damaging links. Your site and rankings will thank you. Are your customers spending $ on Pinterest? Adding Pinterest to your marketing plan gives you access to active and brand focused consumer dollars, this infographic explains the sharing preferences and activities of Pinterest users. This week we've seen a change to Twitter's compose tweet field, a nice shout out to Wordtracker Scout and a tool to deregister from iMessage. A comprehensive infographic that reveals the current state of SEO agencies using data from over 10,000 SEO professionals. A sad goodbye to our girl Saby as she departs for an adventure in South America. Find out the most downloaded and highly rated SEO and social media plugins for your WordPress site. The impending Twitpic closure, Google Inbox, Rooms for communities and crafty costume ideas. Eye tracking report for SERP, Penguin update, build your own laptop, and music player hand gesture control. Voice search trends, an app that makes group discussions easier to follow, and two Chrome extensions. The top 50 global keywords for September 2014 and how to use them as part of your marketing strategy. 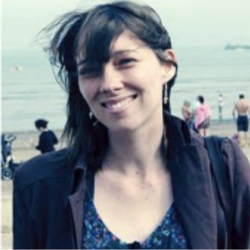 Jo Cameron was Wordtracker’s Content & Community Manager where she worked for over 4 years. Jo makes jewellery which she sells on Etsy, she also enjoys drawing, painting and occasionally blogging about the things she makes. Follow her on Twitter.